I have a new baby pattern available! The Sky Baby Kimono Knitting Pattern is a quick knit in DK weight yarn- perfect for weekend and travel knitting! 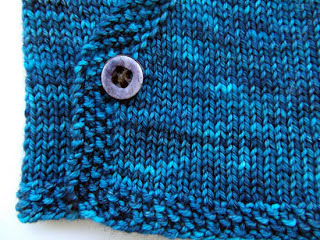 The closures are simple for the fronts- just 2 buttons, one on each side. 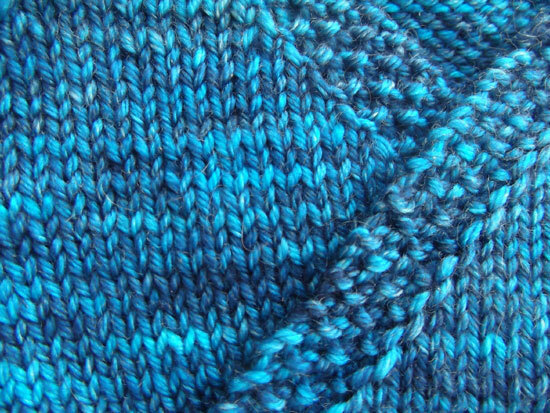 Seed stitch details work well with both solid and multi color yarns. 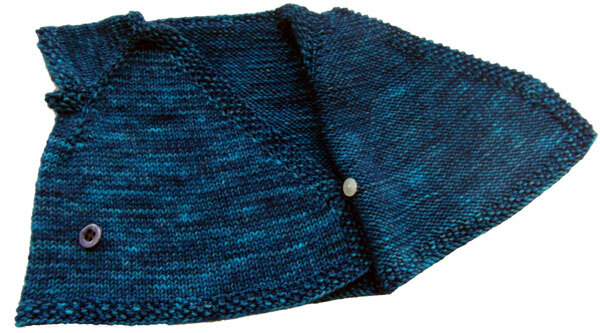 The kimono is knit top down with raglan sleeves Seed stitch details add a delicate touch to the hems. The short sleeves are perfect for spring and summer, or pair with leggings and a long sleeve shirt in the winter. The kimono is designed to be loose fitting and comfortable to wear, and is fast enough to knit for a quick baby gift. Sizes 3 to 24 months. Slight increases at the underarm give the kimono an A-line shape. The pattern is pretty easy- you need to know how to increase and knit in the round (on double pointed needles). 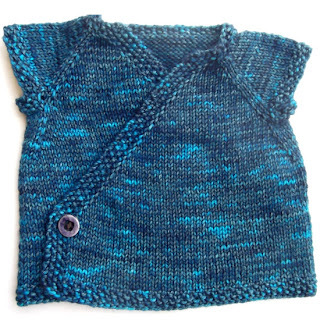 You can open a preview of the knitting pattern on the Sky Baby Kimono page. This kimono top is a captivating take on the classic kimono! 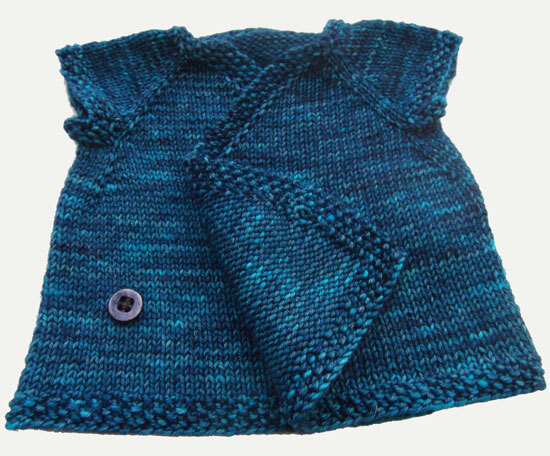 The simple lines and seed stitch details make this sure to be a favorite pattern for gift knitting- 3 month size knits up in a weekend! 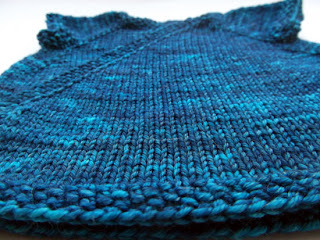 Knit top down with raglan sleeves, this cute but easy kimono style top knits up quickly in both solid and multi color yarns. Seed stitch details add a delicate touch to the hems. Sizes 3 to 24 months. The short sleeves are perfect for spring and summer, or pair with leggings and a long sleeve shirt in the winter. 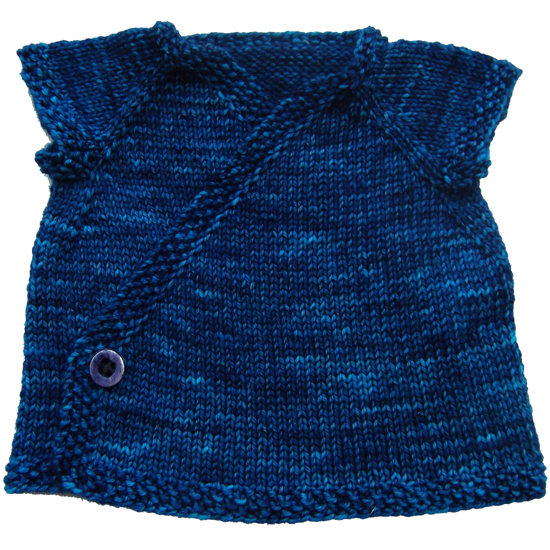 The kimono is designed to be loose fitting and comfortable to wear, and is fast enough to knit for a quick baby gift. 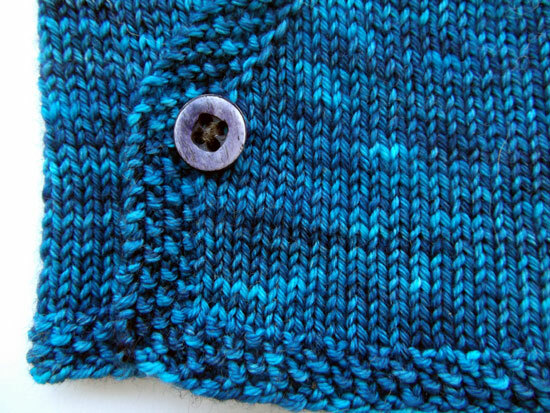 With just two buttons the top is easy to put on- no fussing with zippers, ties, or lots of buttons. See schematic at end of pattern for more sizing info. Shown in size 3 months. 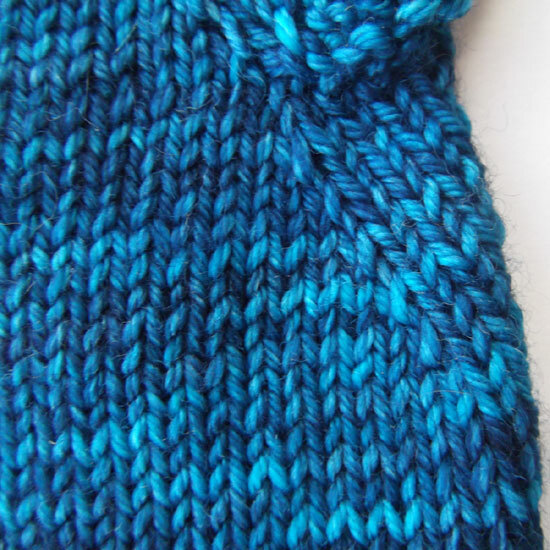 6 st and 8 rows per inch in stockinette stitch.